Just a bear writing about TV and film. 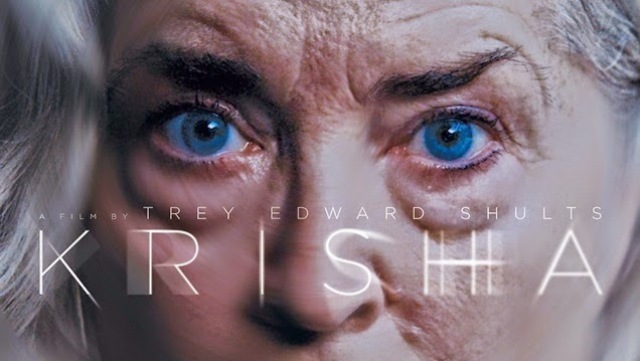 Krisha could very easily be a cliche-ridden, self indulgent home video fest that prioritizes style over substance. Fortunately, it avoids that description at almost every turn, telling its story with a ferocious intensity and a real understanding of an addict’s world (which is understandable considering the actors themselves were involved with the true story the film is based on). There’s a heart-wrenching personal story under the stylized surface, and it rapidly takes form through Krisha Fairchild’s incredible leading performance; every scene of hers is fraught with conflict and tension and anxiety, her face speaking volumes about what may be concealed and what may be about to burst onto the surface. It’s a difficult role that Fairchild nails perfectly.